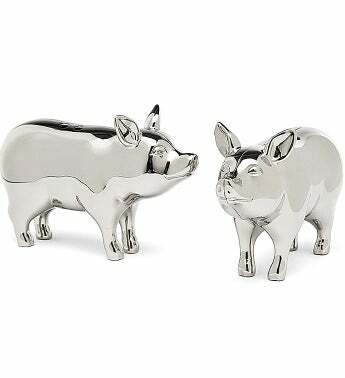 This cute set of pig-shaped salt and pepper shakers is an ideal kitchen accessory for seasoning perfection. 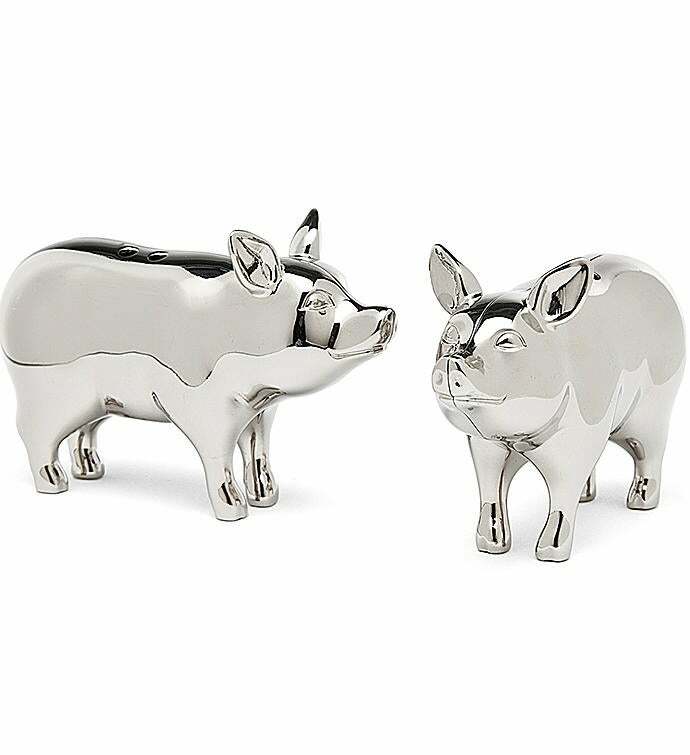 With nickel-plated surfaces, they're just the gift for loved ones who enjoy ribs and bacon. 1" X 3" X 1.94"